Good Morning! Yesterday was absolutely gorgeous out, let's hope we're in for more of the same today. Let's just go ahead and jump right into this week's challenge. I really love this sketch and I am absolutely thrilled that There She Goes stamps is sponsoring us this week. Jessica has a super awesome prize up for grabs. A $15 stamp set of the winner's choice! 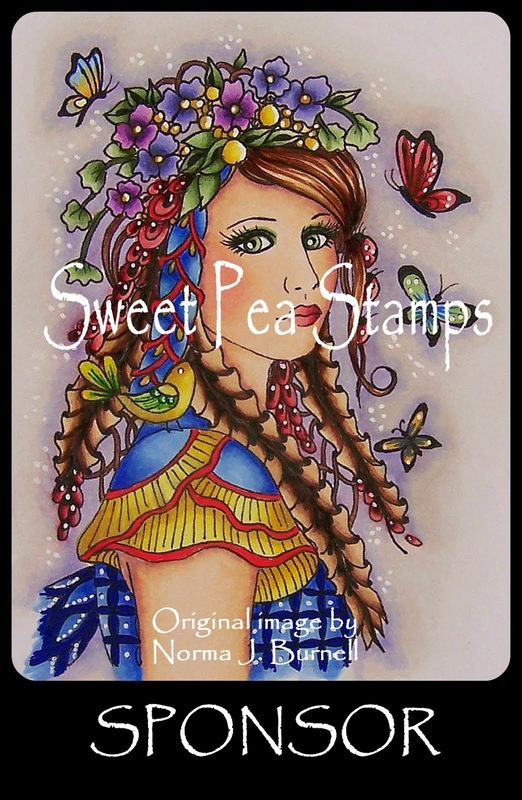 And if that's not great all by itself, get this... you also have another chance to win at the TSG Blog where another $15 stamp set is up for grabs! Isn't that exciting!! So here we go. First, here's the sketch. This is such a great sketch for a longer card as well as a regular A2 size card. Have fun with. Flip it. Tweak it. Do it how you like it, just keep the basic sketch in tact. I can't wait to see what you do, but first, let's see what the Team did with it. This is Shelly's card and it's so beautiful with the warm colors of this fall collection of papers. I have the same pack and you'll see that Shelly and I were thinking along the same lines. I absolutely love the buttons and the handwritten sentiment. 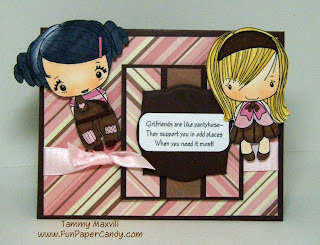 Tammy's card is so sweet and in the a fabulous color combo. 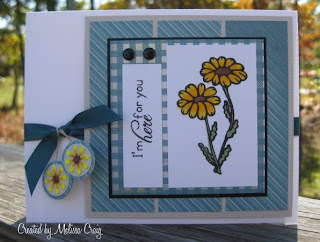 She used TGF and Say It With Stamps by Jen images. 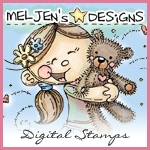 This is Joni's card and features an up and coming digi-stamp artist. These images are from Ozzy Inks, created by Oscar Arriaza, Jr. - age 10. If you'd like more info you can get that here. I love how she used Inktegrity's fence and the googly eyes for the other elements of the sketch. And hey! She didn't flip it! Here's my card. I am so happy with how this turned out! I love the colors. 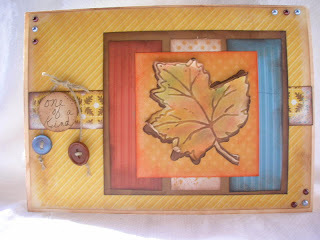 I used the same Autumn paper pack that Shelly used - this blue is such a gorgeous color. The images are from the Bloom set available at TSG - it's a wonderful set. Lots of flowers and lots of sentiments. I finished it off with some tiny punched out flowers that I colored to resemble the flowers in the image and tied them to the ribbon with linen thread. And guess what! This week's challenge is a JUDGED CHALLENGE. 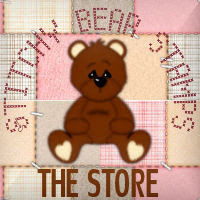 So the winner not only gets a great stamp set but will be the featured stamper on November 3rd. So do your very best work. I'm also on the hunt for a Guest Designer for December, so if you're interested, put DGD behind your name when you link up. 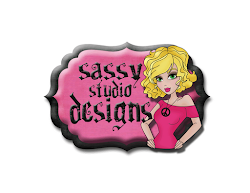 Don't forget to head on over to the TSG Blog to see what Jessica and her Trendsetters made, too. I'm heading over there now! 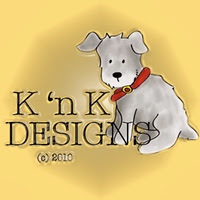 But before you go, just a reminder when you've finished your card or project, sign your name in Mr. Linky and leave a link directly to your project and leave us a comment. OK - go get crafting! 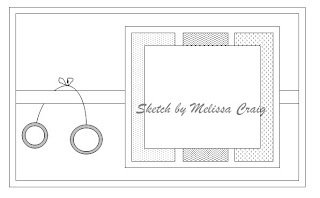 Melisa, thank you for providing the super awesome sketch! Fun line up! It's so neat to see how everyone did the sketch! I already love the sketch! Great job DT! To the thinking chair! Great job ladies, and I love the sketch, thank you! Just got mine linked! Thanks Mel! Another great sketch! I had a lot of fun with this one! I couldn't get the dangly-doo to look right, so I left it off. I used some fun buttons instead.... I hope you like it! Fab Sketch. I combined your challenge with my GDT card for Nutshells - hope that's okay. This is why I love sketch challenges -- every one creates something so unique from the same starting point. Then I keep saying 'why didn't I think of that'. Awesome sample cards, Ladies -- love all those fun ideas from fence backgrounds to googly eyes!! Wow, great sketch. And I really like that I get two chances to win by submitting the same card over at the TSG blog. This was an awesome sketch, I had a blast with it!! This challenge is officially closed. Thank you to everyone who participated!! Come back tomorrow for the winner announcement!